‘the churchie’ Committee and QUT Art Museum are proud to announce KELLY GELLATLY, Director of the Ian Potter Museum of Art, The University of Melbourne, as Guest Judge for the 29th churchie national emerging art prize 2016. Ms Gellatly’s experience as curator at some of Australia’s most significant art galleries and museums, combined with her extensive knowledge of emerging Australian art, is an invaluable asset to this year’s judging process. Ms Vanessa Van Ooyen, Senior Curator, QUT Art Museum comments, “We are thrilled to welcome esteemed museum director, curator and author Kelly Gellatly as judge for one of Australia’s most coveted art prizes recognising innovation and excellence in contemporary art”. From a record field of over 1,000 artworks from 445 entrants, 23 emerging artists have been selected as finalists for ‘the churchie’ in 2016. 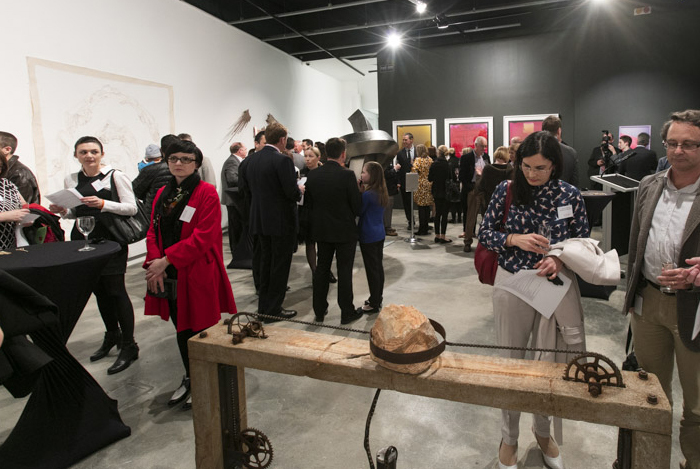 The overall Prize Winner and two Commendations will be announced on Friday 19 August at the official opening of the churchie national emerging art prize exhibition at QUT Art Museum. The exhibition, from 20 August to 13 November, will feature entries from each of the 23 finalists. The overall prize winner will be awarded a $15,000 non-acquisitive cash prize sponsored by long-time supporters of ‘the churchie’, Brand + Slater Architects, Brisbane with two Commendation Prizes of $1,000 each sponsored by Madison Cleaning and Painting Services.